I received this e-galley from the publisher via Netgalley and read it on my ancient Kindle, so I didn’t pay much attention to the cover, including–I’m embarrassed to say–the author’s name. The story is written from a female teen’s point of view, and it’s done so well that I was shocked when I sat down to write this review and discovered that the author is male. I was also surprised to realize that, had I seen the cover before reading the story, I would have thought that was a book about a teen boy. My own misguided preconceptions, of course–girls go to jail, too. Publisher’s description: Sadie Windas has always been the responsible one — she’s the star player on her AAU basketball team, she gets good grades, she dates a cute soccer player, and she tries to help out at home. Not like her older sister, Carla, who leaves her three-year-old daughter, Lulu, with Aunt Sadie while she parties and gets high. But when both sisters are caught up in a drug deal — wrong place, wrong time — it falls to Sadie to confess to a crime she didn’t commit to keep Carla out of jail and Lulu out of foster care. Sadie is supposed to get off with a slap on the wrist, but somehow, impossibly, gets sentenced to six months in juvie. As life as Sadie knew it disappears beyond the stark bars of her cell, her anger — at her ex-boyfriend, at Carla, and at herself — fills the empty space left behind. Can Sadie forgive Carla for getting her mixed up in this mess? Can Carla straighten herself out to make a better life for Lulu, and for all of them? Can Sadie survive her time in juvie with her spirit intact? Heart-wrenching and real, Juvie tells the story of two sisters grappling with accountability, sacrifice — and who will be there to help you after you take the fall. * plays basketball–Sadie is on the college scholarship path when she has to leave high school to serve her six-month sentence. * has a family member who suffers from agoraphobia–Sadie’s father never makes an appearance in the story because he hasn’t come out of his house in years. Although we don’t get to know him as well as we know the agoraphobic father in Linda Urban’s A Crooked Kind of Perfect, we can still feel Sadie’s father’s love for her when he does reach out to her via the US mail. * Character Motivation–Sadie decides to take the fall for her older sister, Carla, who has been in trouble with the law in the past. Should she have made that sacrifice? What if Sadie’s decision can’t save her sister or her young niece, Lulu? Would she have made the same sacrifice if she had known that she’d spend six months in jail? * Choices–At first, I was indignant at the unfairness of Sadie going to jail for something she didn’t do. But Sadie eventually comes to the conclusion that although she didn’t knowingly break the law, a series of smaller bad decisions led her to the wrong place at the wrong time. Did she deserve to go to jail? Definitely not. But the ultimate consequences of her choices that led her to the scene of the crime could have so easily been avoided. 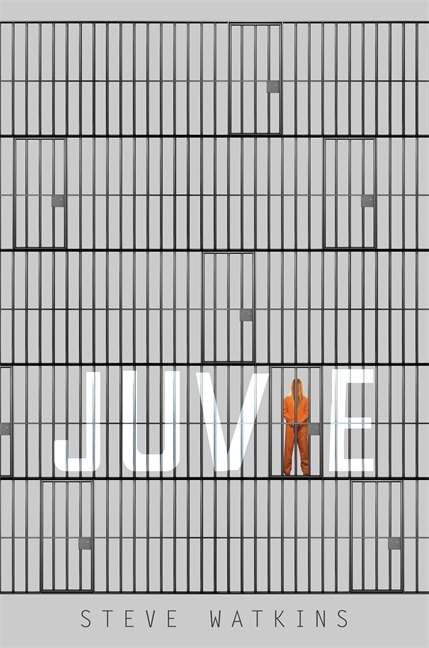 *Types of Conflict–There are several types in this story–character vs. character, and character vs. self, but the most interesting to explore might be character vs. society and the role of prisons in our society. The disparity between the crimes that some of the characters commit on the outside and their behavior on the inside would also make for good discussion. Visit author Steve Watkins’ website here. Click here for reviews (including starred reviews from Kirkus and Publishers Weekly) and here to read the first chapter.